Did I hear black and rust? I only see a problem with sharing so many pictures of the sample polos and I can't stress this enough: The final product will be different, having shorter spearpoint collars. This can be very confusing and people expecting this polo might get disappointed and can lead to returns. I know you have to sell them now and you don't have the final sample but that is a complain we've shared before with previous products. I'm sorry if this is now sounding like a broken record and I won't say it anymore just in case. Yeah, I know. I wouldn't worry about it, though. 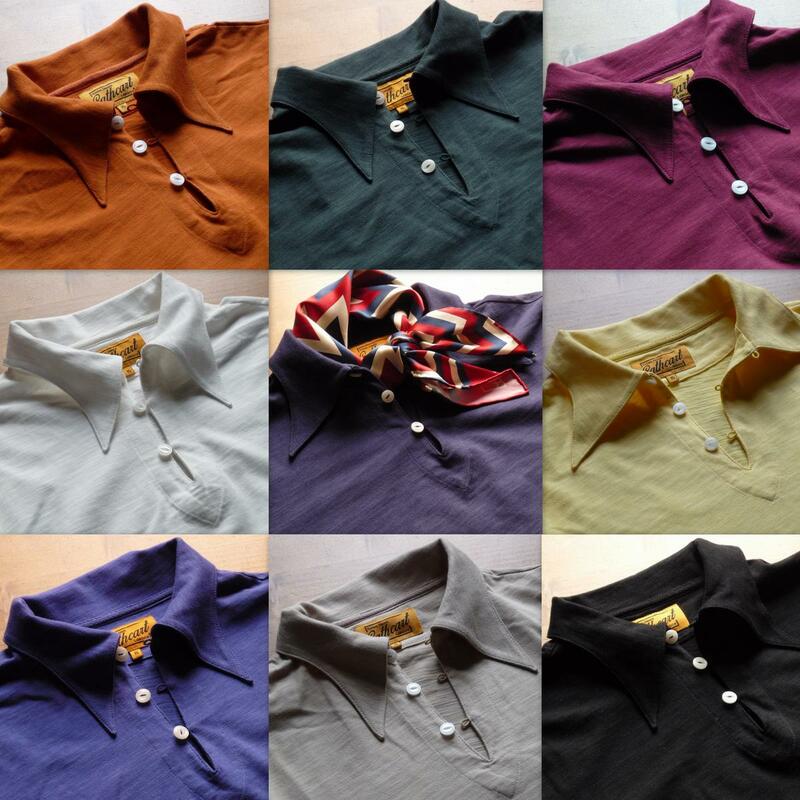 The final polos will simply have a more balanced collar length. Mammamia, the first jacket... Simon... Please!! I also like the surprising combination of black and light brown in the second outfit, Nik. I'm definitely trying that. 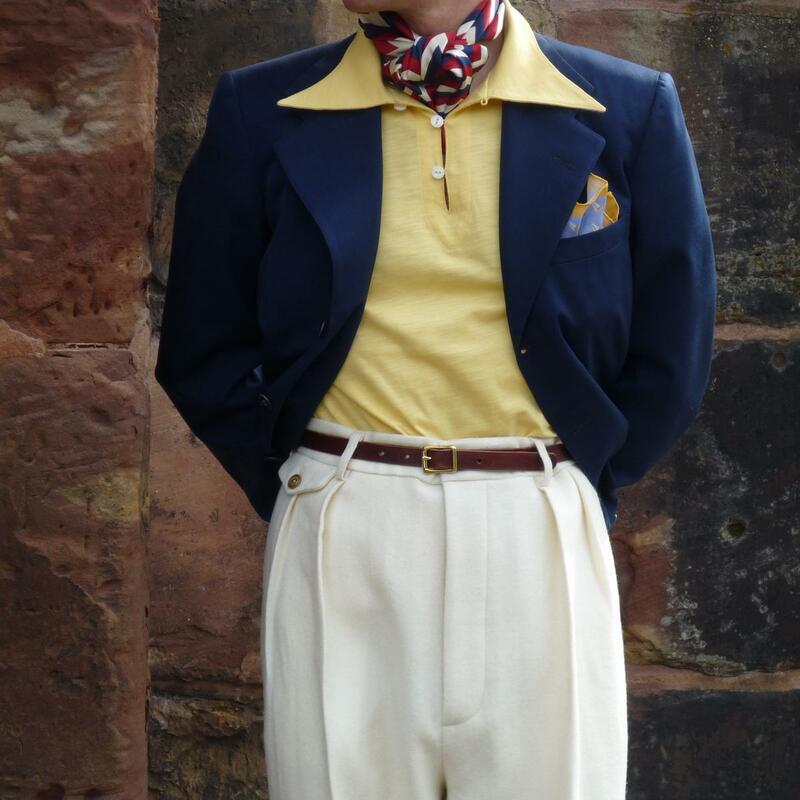 Quite rakish, and I can't quite put my finger on it, but it seems like a colour combo that is vintage-accurate. (05-01-2017, 06:04 PM)metatron Wrote: Mammamia, the first jacket... Simon... Please!! Which first jacket @metatron? Nik's Hollywood, or the DB? (05-01-2017, 06:04 PM)metatron Wrote: I also like the surprising combination of black and light brown in the second outfit, Nik. I'm definitely trying that. 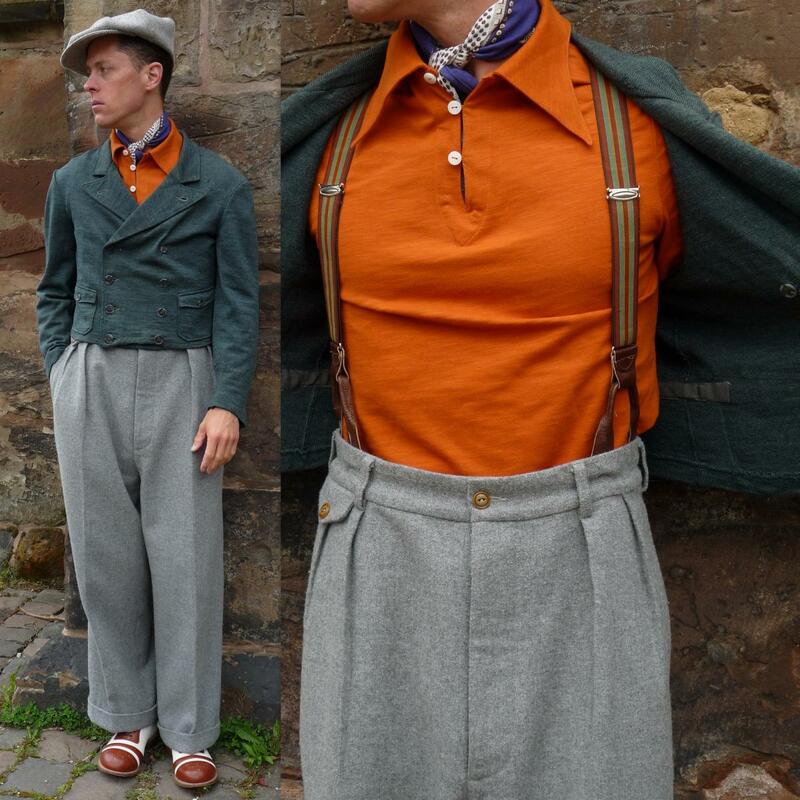 Quite rakish, and I can't quite put my finger on it, but it seems like a colour combo that is vintage-accurate. 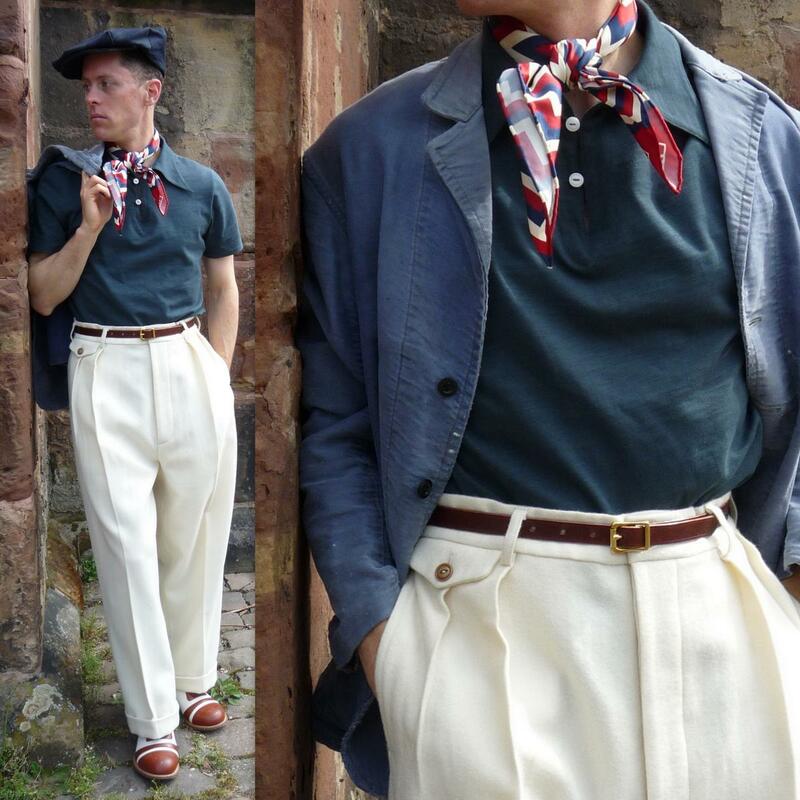 I'm not much of a black shirt bloke so I haven't paid much attention to such combinations so far. 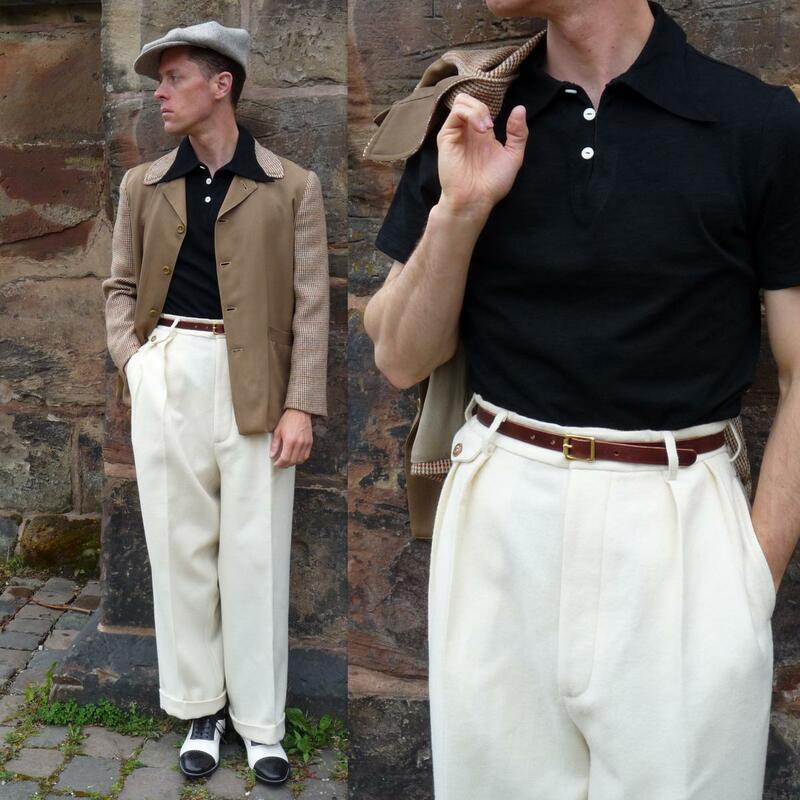 Right now I'm thinking of two ways of my wearing black polos - early post-WWII American with tan/ light brown, also 50s flecked trousers, and 60s French. Among the suit wearers of today, black makes a somewhat regular appearance as a solid black tie worn with pink shirt and tan suit. It does pair well with pinkish hues, cream, and tan to light brown. Absolutely loving that Hollywood jacket too. 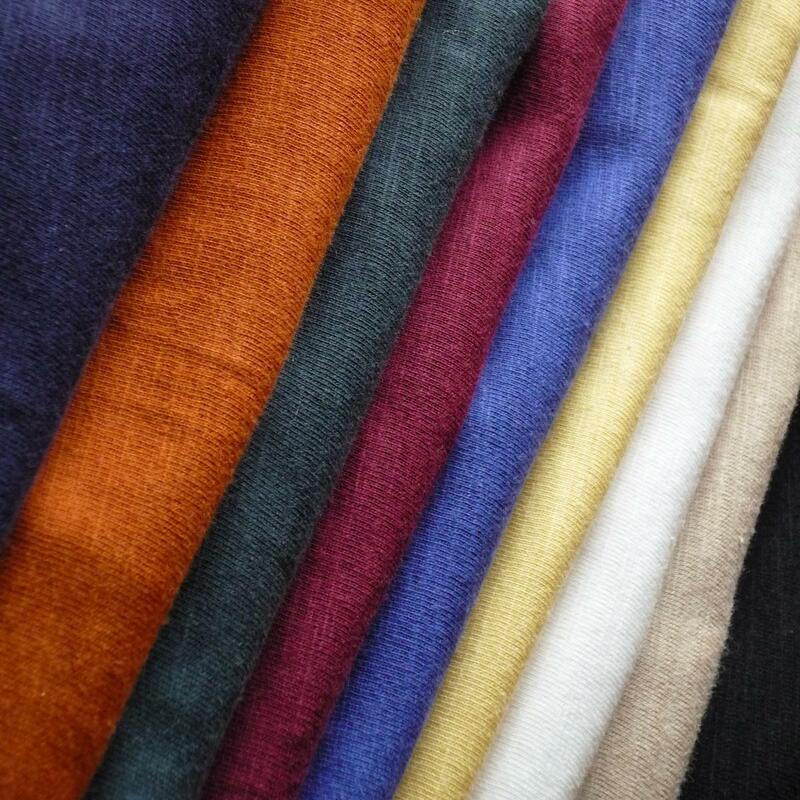 Gagging for the SJC version of those to arrive - much like a Harrington or a Pendleton 49er, it's the sort of thing I'd love to have in a whole bunch of colours. (I prefer to think of the colour combo as 'black and fawn', though. "Black and Tan" has..... other implications where I'm from. :p ). The brunswick green is even better in person. Lovely subtle shade. Those narrower collars are sooo much better!